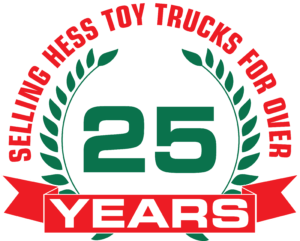 Home / Uncategorized / 1977 Hess Tanker Truck – Read Details! Complete with truck, box & all packing. The truck is plastic measuring approximately 12″ in length. The set is complete with truck and box. Battery compartment on the truck is clean and all the lights are in working order. The box is in excellent condition with bright graphics and only has a tear on one end flap (see pic). Come complete with the top and bottom inserts and battery instruction card. It displays nice and shows only slight wear (see pics) for its age. The truck measures approximately 12″ in length.